A BBC News story from August 2017, this paints a worst-case scenario. This word cloud was created in Concordle. 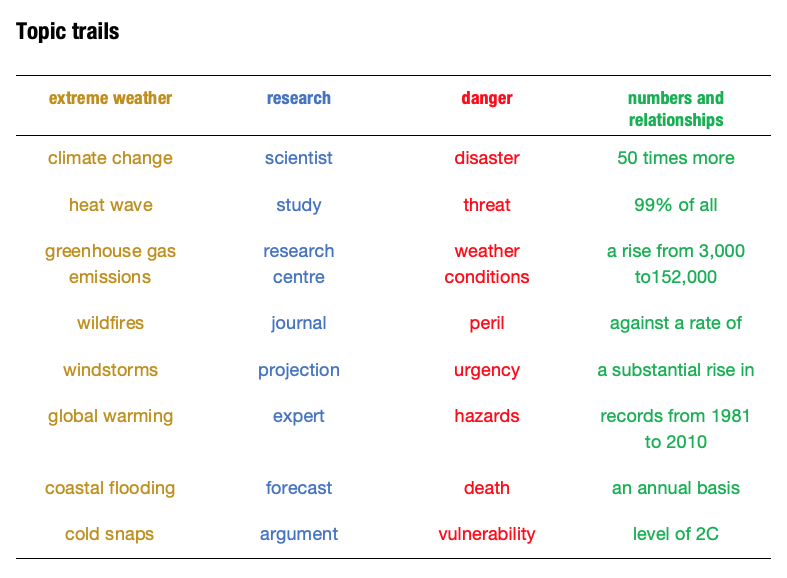 ​The Syllable Stress Table (SST) below contains key words from BBC new story. Another page in this website contains more information about SSTs. 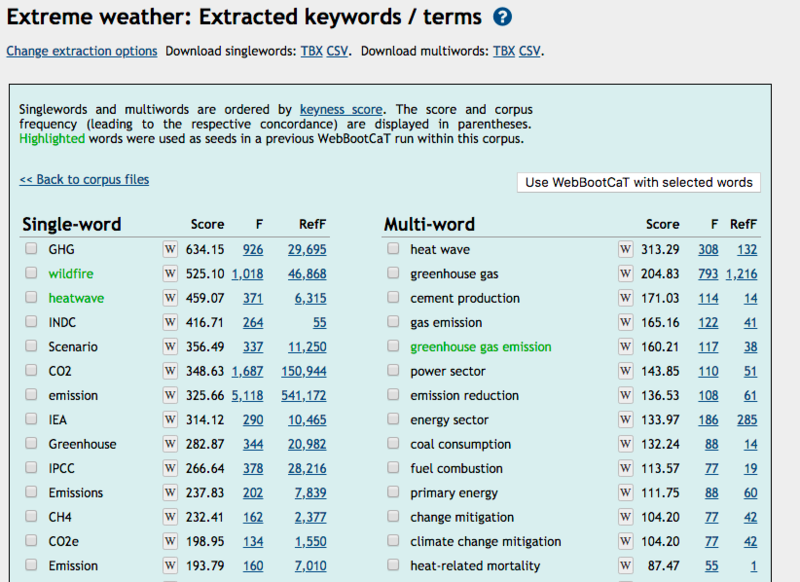 This tool generated a corpus from documents it identified on the web based on the words in the "extreme weather" topic trail. It took about 3 minutes to accumulate a corpus of 486,829 words. The corpus tool is then able to generate lists such as those below. The last video on this SKE page demonstrates how to use WebBootCat.